Xero just wrapped up their June 2018 Xerocon event in Atlanta. 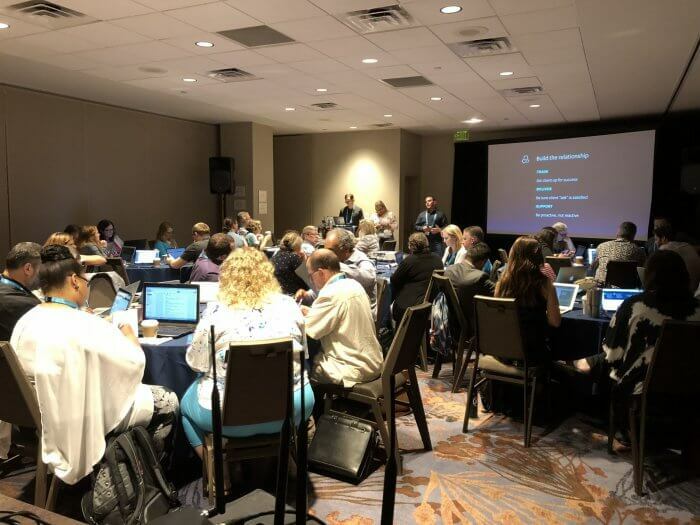 The Bookkeeper360 team was in attendance along with Founder and CEO, Nicholas Pasquarosa, who was a presenter for the Art of the Sale PreCon session. See Bookkeeper360’s recap of the event from the team’s perspective below. This was the team’s fifth attended Xerocon and it was definitely warmer than the previously dubbed #blanketcon in Austin, Texas. Kenji Kuramoto, Nick Pasquarosa, Shelly Lingor were all speakers at this year’s PreCon. Keri Gohman’s opening Keynote highlighted the importance of the relationship between Advisors and Small Businesses. Her research found that 70 percent of small businesses that survive beyond start-up phase have had an advisor or accountant. While on the other hand, small businesses that do not have an accountant or advisor are over 60 percent more likely to fail. Herman Man, Xero Vice-President, gave a speech on the meaning of connected accounting. 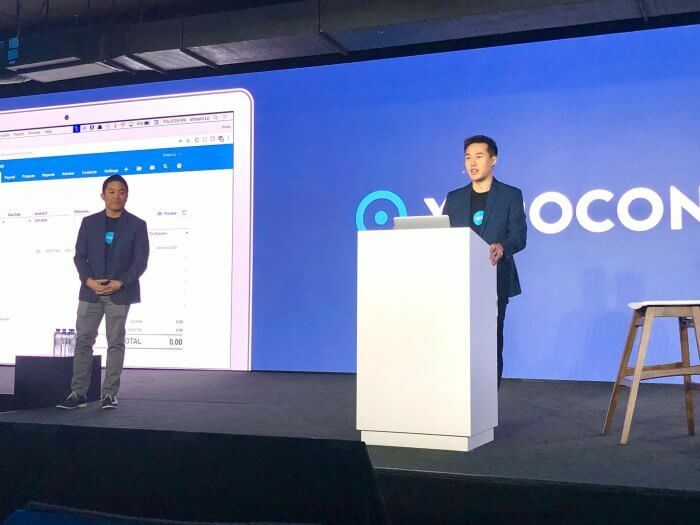 “With the features introduced at Xerocon Atlanta today, we’re delivering connected accounting so accountants and bookkeepers can help their clients ask the big questions, on cash flow, profit and revenue… enables small businesses to pursue their passion… and do beautiful business,” said Man. Man announced Xero can now auto pull info from PDF file and input as a bill in Xero. This will be a time-savings operation for all Xero certified-advisors streamlining their workflows. Sarah Robb O’Hagan spoke about her past experiences on the re-branding of Gatorade’s products becoming labeled as “G”. Her initiative caused an immediate 20 percent decline in sales which ended up resulting in a very successful new identity for Gatorade. The company has evolved into a ‘sports fuel’ as a result of O’Hagans efforts. She now is the CEO of Fly Wheel, a competitor to SoulCycle. Identity is a key need for businesses to provide a clear product or service to their market base. Will Packer spoke about his life story and beginnings as a producer and insisted that no matter what your goal is to never give up. The ‘never give up your goals’ is an important reminder to stay focused, remain solutions-oriented, and to listen to the needs of your clients. While it’s always relevant - businesses often lose sight of their values as a result of rapid expansion. Bookkeeper360’s Brandon Wasser, a Senior Client Advisor, spoke about new technology coming to E-commerce and how the use of augmented reality will help consumers make buying decisions. 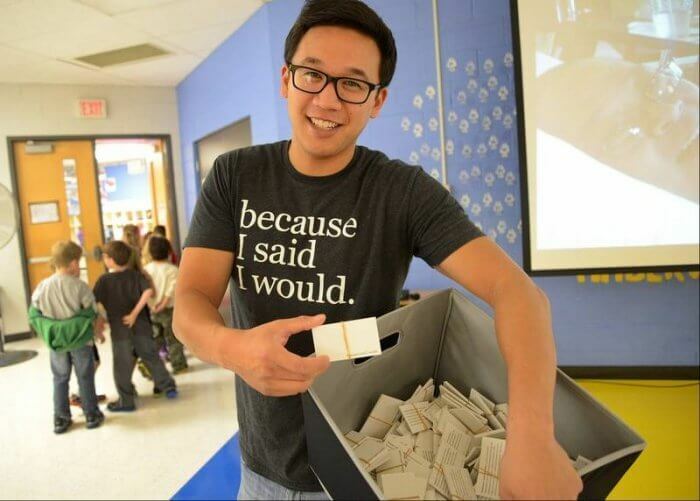 Alex Sheen, Founder and CEO ofspoke to Xerocon attendees.is an international social movement and nonprofit dedicated to the betterment of humanity through promises made and kept. 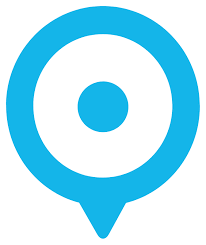 Sheen is changing lives through Promise Cards, chapters of volunteers, character education in schools, and awareness campaigns with global reach. Through organized efforts, committing to promises made is a movement Sheen plans to spread in efforts to better the world we all share. Steve Vamos, Xero’s newly appointed CEO, who replaced Rod Drury on April 1st, was in attendance at Xerocon Atlanta. He has worked closely on operations and overall management capabilities at Xero for over 18 months. Vamos will continue to expand his role in leading the vision and overall guidance of Xero in the years ahead. Keri Gohman and Steve Vamos wrapping up Xerocon Atlanta. 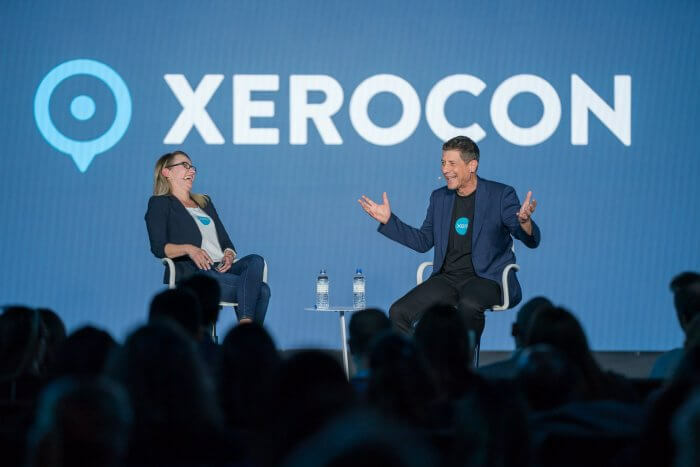 “Xerocon gives accountants the opportunity to share new ideas and technology with leaders in the cloud accounting industry. I would highly recommend accountants, bookkeepers and business advisors to attend Xerocon,” said Dante Montovano, Marketing Manager at Bookkeeper360. 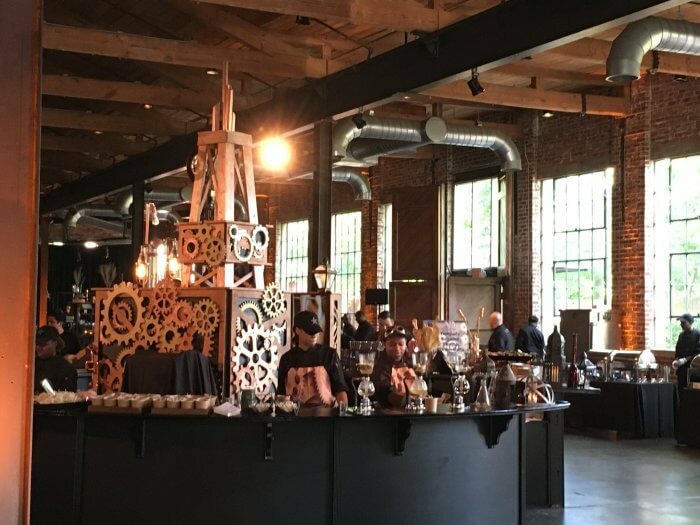 Closing out the event, an amazing “SteamPunk” themed party was held at the Foundry in Atlanta where abstract styled food was served. 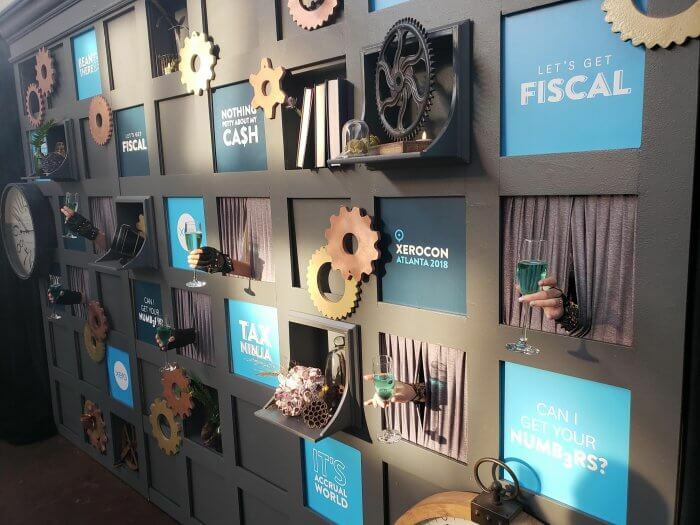 Xerocon attendees were greeted by a wall of human hands holding blue champagne in honor of the Xerocon event. Bookkeeper360 once again shared their happenings within the industry and stayed in the know on the latest developments at Xero. The event balanced community outreach, personal goal attainment, and client-focused solutions to continue to keep Xerocon attendees aware of the community around them.